« Take Your Seat For Woods Hole Film Festival 2018! Highfield Hall & Gardens, in Falmouth, MA is a magnificently restored 19th-century mansion and estate. The grounds now serve as a cultural center with heritage exhibits, gardens, and a host of public concerts, art shows, and more! Highfield Hall, surrounded by 400 acres of public woodlands and spectacular gardens, is one of Cape Cod’s great treasures. The 17,000-square-foot Victorian “summer cottage” was built by the Beebe family in 1878. After the last Beebe heir died in 1932, the property passed through several hands before falling into disrepair. The estate was saved from the wrecking ball in 1994 to reopen as a public museum and historic property in 2006. The expansive grounds feature acres of walking trails, woodlands, and spectacular gardens. The mansion’s restoration retained as many historic details as possible. Some of the original elements to look for on your visit include 15 ornate fireplaces and 10 stained glass windows. Modern renovations to the mansion included merging two rooms into a windowed ballroom that can seat 90. This new space has proven excellent for presenting lectures, concerts, and other programs. There is also an exhibit detailing both the history of the Beebe family and the property, itself. Highfield Hall hosts seasonal art exhibitions from both regional and international artists. They also serve up a variety of public events, including concerts, culinary classes, nature walks, garden presentations, docent tours, and more. Highfield Hall & Gardens are open to the public from April 15 to October 31. The grounds and Beebe Woods are accessible daily, year-round, from dawn to dusk. Learn more at the Highfield Hall website. The site is also on Facebook. Visit one beautifully restored, historic home while you enjoy accommodations at another! The Captain’s Manor Inn is listed in the National Historic Register of Historic Places. Then known as “Mostly Hall,” it was built in 1849 by sea captain Albert Nye. The property has since been lovingly restored with an appreciation for its original architectural details and an integration of modern amenities. 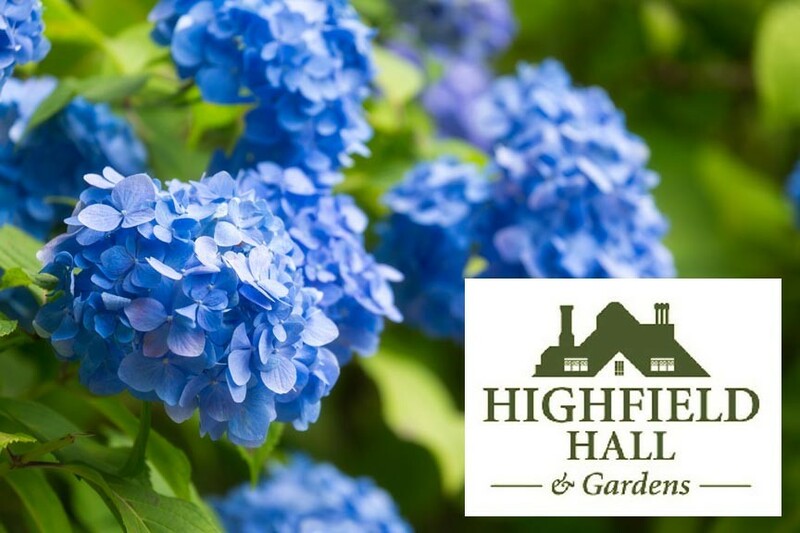 Highfield Hall & Gardens is just a half mile from our Cape Cod inn. In fact, the convenient location of our inn puts the best of Cape Cod right at your fingertips – though you may find yourself wanting to simply enjoy the classic beauty and elegance of our historic Cape Cod bed and breakfast!